On April, 2011, in culture, Technology, Uncategorized, Women. 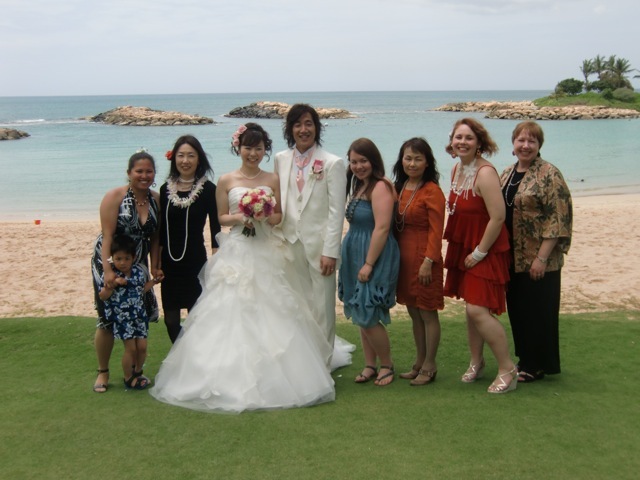 Maki and Julia had a wonderful time in Hawaii for our niece Ruka’s wedding. They spent 5 days at the Moana Surfrider hotel with Ginger and Anri, in from Colorado. Maki’s sister, her daughter-in-law Jazelle and her son were also enjoying the meet. Ginger rented a van and got people beyond the confines of Waikiki. I’ve only heard a few stories, Julia and Anri fell asleep about 9PM. More later.